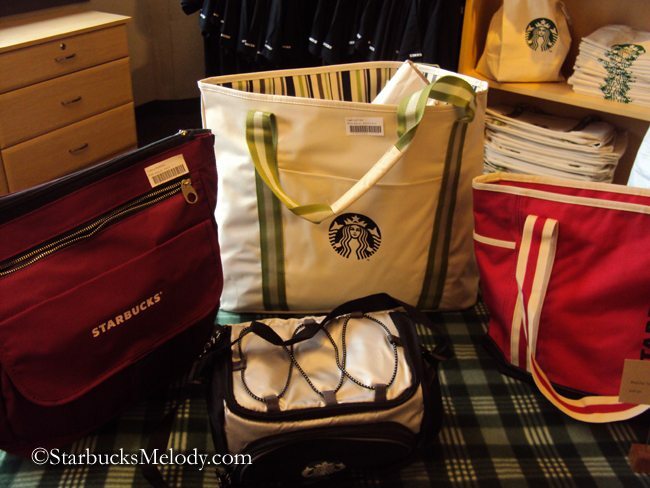 It’s been quite a few months since I have featured the Starbucks coffee gear store! 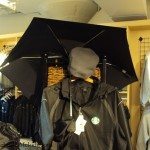 If you are ever visiting Seattle, don’t miss this store. It’s one of a kind! 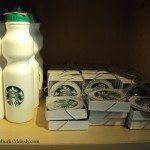 The Starbucks Coffee Gear store is a store full of interesting and unique Starbucks-branded items. It’s open to the public. You can visit Monday through Friday, normal business hours. 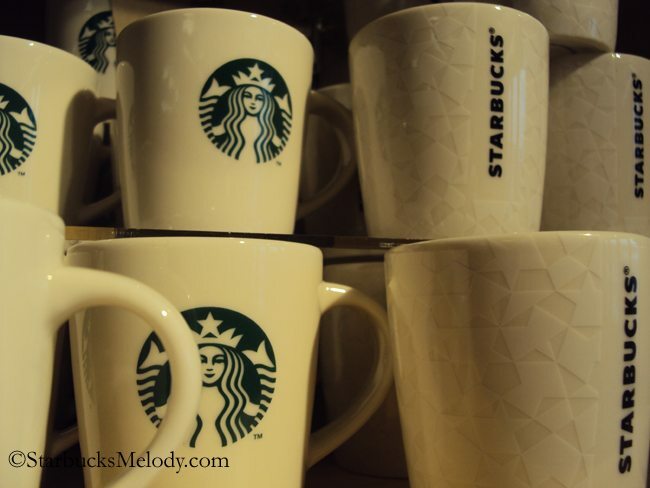 To visit, go to the Starbucks Headquarters at 2401 Utah Avenue South. Take the elevators to the 8th floor. You’ll find the store immediately to your right, as you exit the elevators. 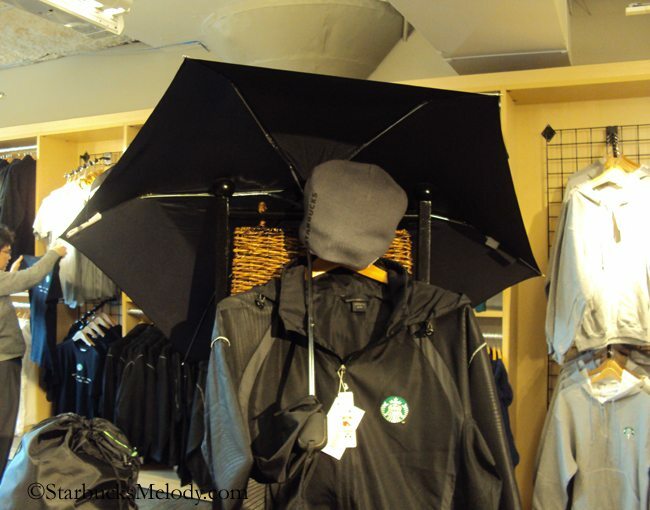 And who wouldn’t want to sport an umbrella that says Starbucks on it? Here are just a few more pictures. 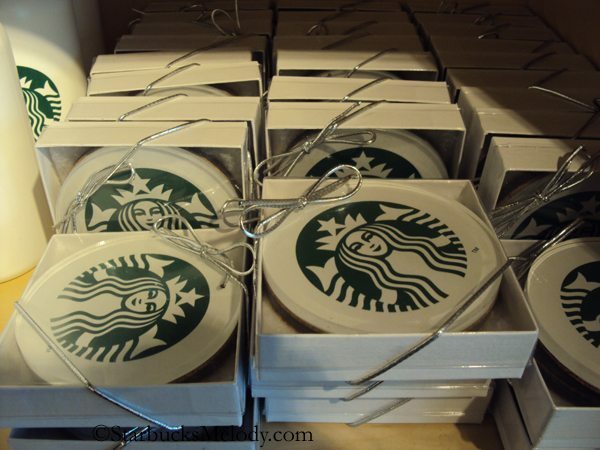 I also really like the cute little Starbucks Siren coasters. 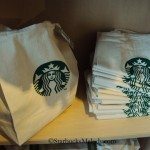 Starbucks partners (Starbucks calls their employees “partners”) can order coffee gear merchandise through the online Coffee Gear store. It looks like there are a couple of funny t-shirts which are only online item at the partner-only online store. 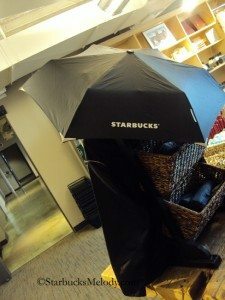 Customers (or partners) can also buy coffee gear items at StarbucksStore.com. 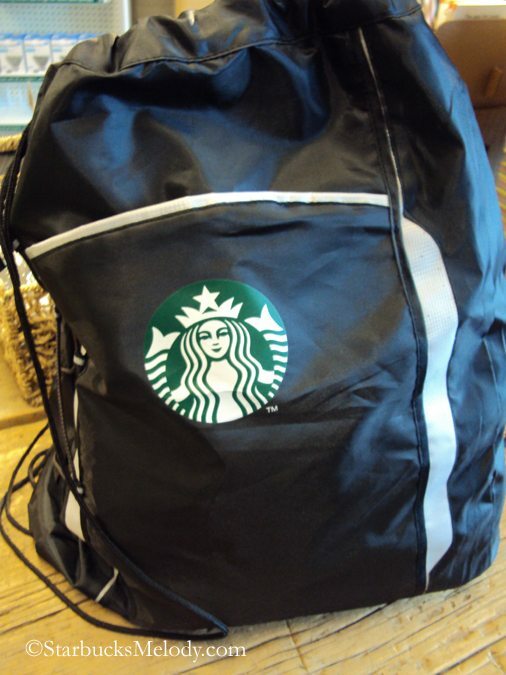 What’s interesting is that there are a couple of items on the StarbucksStore.com site that I don’t remember seeing in the store when I was just there. I must’ve somehow missed them! The bamboo logo iPhone case and the black logo journal are items that I don’t recall seeing while I was in the store! 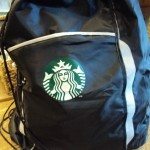 At the StarbucksStore.com site, I noticed that the logo hoodie has gone on sale. I am very tempted to get one! 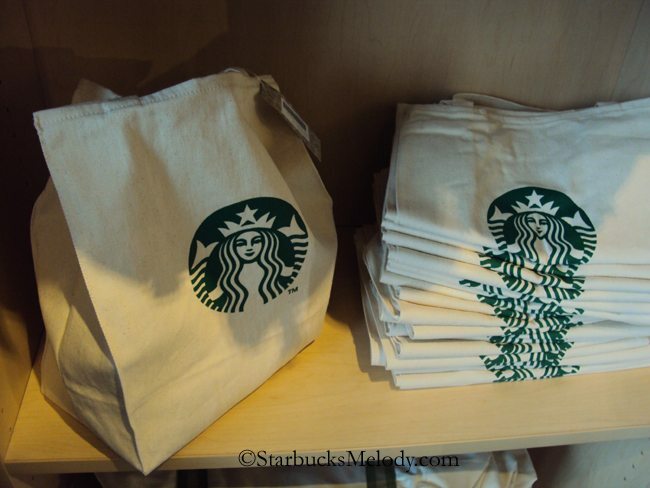 I hope you enjoyed this short visit to the Starbucks Coffee Gear store! What’s on your wishlist? (You can click on these photos to make them larger). 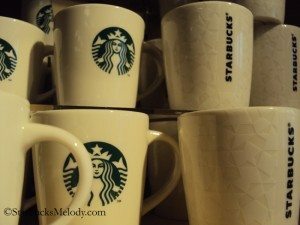 Seattle's Best Free Coffee Giveaway: "Black Friday Coffee Break"
The newest Starbucks Via Ready Brew: Peppermint Mocha Via launches on November 13th. Starbucks Headquarters: Coffee Gear Store and More. 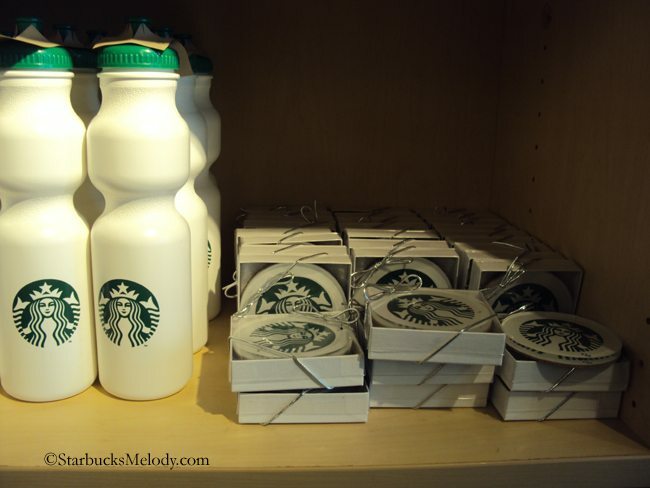 The Starbucks Coffee Gear Store. Nice update Melody. In some ways although it would be a bit chaotic, I wish they would sell some of these items in stores especially for those of us not near Seattle. @Kurt – There were two versions of the new tasting cups. One had the Siren logo, and does have a handle on it. 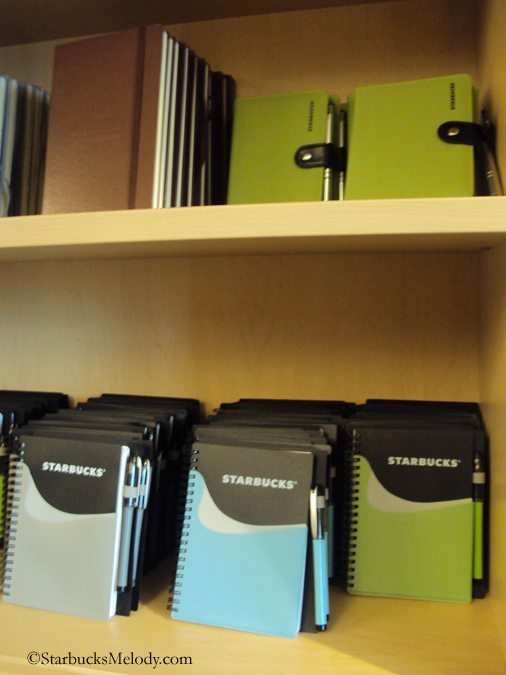 The one that has a pretty star design (kind of like the MSR star pattern) does not have a handle. The one with the stars just charms the heck out of me, but the logo one with a handle is probably more practical. This would be like Niketown (here in Chicago, on Michigan Ave) used to be for me in the ’90’s. That store was just heaven for me. And now, looks like this store might feel the same, or close at least. 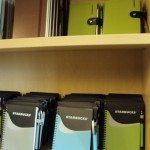 Love this blog post, wish we had something like this in the UK. Such fantastic merchandise! 🙂 enjoying your blog as always! I CANNOT wait for the ornaments!! Does anyone know the first day the Christmas merchandise launches in the US? I have to get that gold cup ornament I saw a glimpse of!!! 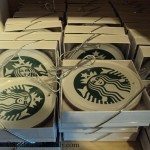 @Hayley – I saw the ornaments on StarbucksStore.com, and was blown away. I have been waiting, but I probably will do a blog post just on this year’s ornaments – the best they’ve been in several years! 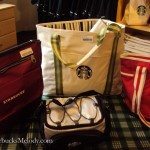 I just jumped over from this thread and peeked at the holiday collection on starbucksstore.com and the stuff does look much better than years past. @denise r – what do you think of the bear this year? I think it’s an improvement. @denise r – I remember the pairs. Remember the Victorian pair? They even made a large one that year – maybe 24″? I’m a UK partner, I wish coffee gear was available to us so bad! !